January is a time of regrouping to face the joys and challenges of a brand-new year! Susan Jacobsen, artist and Registered and Board-Certified Art Therapist, will facilitate this 4-week class. In it you will explore Mandalas as they are found in nature, how they relate to our neurobiology, and ways to create personal, one-of-a-kind mandalas to use in meditation or to gain a sense of grounding. 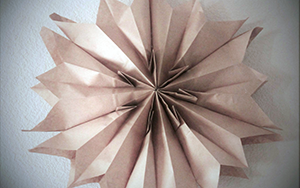 You will be encouraged to create a Mandala journal. The Sanskrit root word “manda” means essence while the suffix “la” means container. Thusly, Mandala means a container for your essence. Mandalas are used by various cultures and religions as a way of creating a visual center to use during meditation or as a reminder of the you before the world made you. 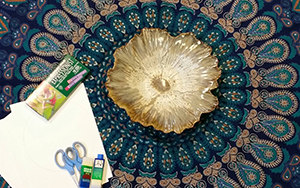 We will use a circular piece of paper, pastels and chalk as well as fabric, stitching, block printing, and screen printing to create personal Mandalas that you can take with you to incorporate into your meditation practice and/or your everyday life. All materials provided with a $25 materials fee payable to instructor on the first day of class.